For most of us here in Pakistan, the open sea is as unfamiliar a terrain as it is mysterious. To add to its cryptic nature, the sea has traditionally and historically been a medium of contrasts. It doesn’t take long for flat calm seas to give way to choppy waters and for gale force winds to develop into destructive tropical storms. An unruffled sea one moment, and not long after, triggered by a massive underwater quake, a tsunami sweeps countless shores with unrelenting fury. Side by side with legitimate trade, around which the global economy revolves, the sea can’t help playing host to countless illegal activities, the scale of which has led many maritime analysts to dub it as the ‘biggest crime scene in the world’. The dividing line between permissible and illegal activities tends to get blurred too at times. Boats designed for fishing, an activity which generates around $170 bn worth of trade revenue and provides livelihood to nearly 12% of the global population, are not only known to indulge in Illegal, Unregulated and Unauthorised Fishing (IUUF) practises but are also utilised to commit acts of piracy. In our own waters, dhows, extensively used for legitimate coastal trade, have also been detected carrying contraband cargos. Over 50,000 large commercial ships plying the world’s oceans drive the multi-trillion dollar global economy. These include container vessels, cargo ships, bulk carriers, oil tankers, liquefied natural gas tankers, chemical ships, passenger liners and roll-on roll-off ships, all designed for specific purposes. Navies all over the world by contrast, are charged with defending their national maritime interests. The task of protecting the country’s commerce is made all the more difficult as a major part of its trade is carried out through foreign vessels, and most of these ships in turn prefer to fly a flag of convenience rather than being registered in the country to which the shipowner belongs. Their prime motive for doing so is to reap the benefits of a lax regulatory regime afforded by countries like Liberia, Monrovia, Panama and Marshal Islands for instance. Pakistan’s sole shipping line, the state-owned Pakistan National Shipping Corporation operates five bulk carriers and four oil tankers. The tankers mostly ply on a well-worn coastal route between Karachi and Ras Tanurah, though the pursuit of cargo can take the bulk carriers to any part of the world. Freedom of the Sea is a motto all conscientious countries subscribe to, and the only way this can be made possible is for all coastal states, their Navies, Coast Guards and Maritime Security Agencies in particular, to join hands to combat the common threats that menace us all. Piracy, poaching, environmental degradation, toxic waste dumping, gun running, narco smuggling and human trafficking are crimes that recognise no boundaries. The only robust response to each of these threats is a unified one. To underscore this argument, let’s take sea piracy as an example. Acts of piracy can take many forms: small scale attacks on private yachts, oil pilferage, armed robbery (taking advantage of ships in restricted waters) and taking over the ships for ransom. It was the latter activity that had brought Somali piracy to centre stage. At its peak in 2009, when alarm bells resonated throughout the world, the number of attacks on merchantmen had risen to more than 300, with a large number of ships and seafarers being held captive for ransom. As pirates kept extending their reach further and further into the heart of the Western Indian Ocean, the cost to the global transportation network burgeoned to as much as $20 bn. What finally brought the situation under control within the next three years was a global coordinated response. It was pleasing to see warships from countries as disparate as the US, Russia, China, Iran, South Korea, India and Pakistan, all converge on to the Gulf of Aden. While ostensibly there to protect their own national interests, these ships, operating either singly or as part of alliances like NATO, EU and the US-led coalition, actively contributed towards global security. Piratical activity rooted in Somalia had caused so much of a hit to the global transportation network that its rooting out became imperative. The impact wasn’t just restricted to ships impounded and crews kept hostage; other consequences included increased insurance premiums, legal fees, rerouting of ships to avoid danger areas and recourse to enhanced protective measures onboard to deter attacks. In the end, it was concerted action by all responsible nations that carried the day and brought this illegal activity under control by the summer of 2012. The Pakistan Navy at the time was already an active member of CTF 150, which, working under the Coalition Maritime Campaign Plan, sought to maintain order in the North Arabian Sea. When piracy reared its head in the Horn of Africa, another Combined Task Force (151) was formed to exclusively indulge in anti-piracy operations. PN was not only forthcoming in contributing its warships to this enterprise too, but also repeatedly accepted command responsibilities of both these task forces. The need, value and necessity of international collaboration in tackling transboundary and transnational crimes at sea can hardly be overstated. 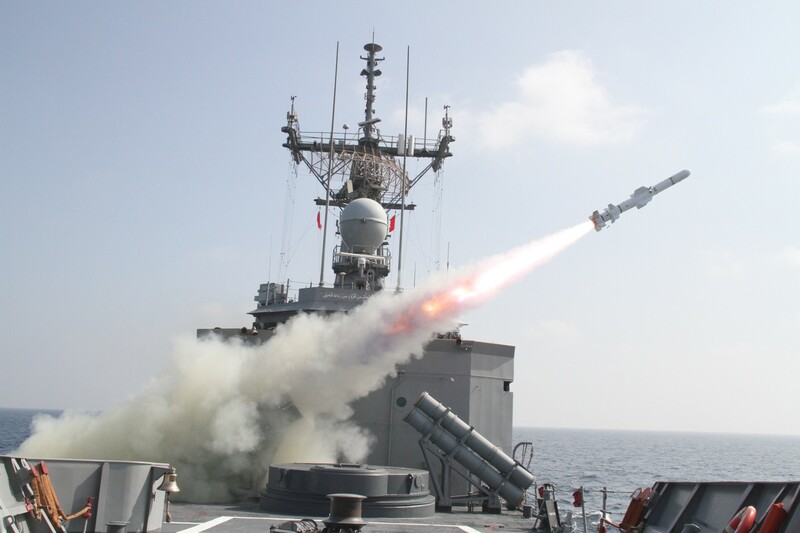 Visions of a shared future at sea had pushed the Pakistan Navy to initiate a biennial exercise codenamed Aman, the first of which was launched in 2007. This was a departure from the war exercises traditionally conducted by Navies the world over, as its sole focus was on fostering friendships, a vital resource that could be tapped upon to meet joint objectives at sea. The sixth edition of the Aman series is all set to roll in early February 2019. Like its previous version, a large variety of ships, aircraft, helicopters, marine teams and observers from countries as disparate as US, UK, China, Russia, Iran, Saudi Arabia, Australia, Japan and Turkey are expected to participate. Invitations have been extended to as many as 83 countries, with up to 35 expected to participate. The highlight of the exercise is the International Fleet Review scheduled at sea on 12 February 2019, in which a number of high-ranking dignitaries are normally invited to witness inter alia practical surface and rocket depth charge firings. In order to cement friendships amidst a social setting, an international cultural display, food gala and sports fixtures are also made a part of the proceedings. The sight of so many ships, aircraft, helicopters and submarines from a large number of regional and extra-regional navies exercising together in a rhythmic cadence is one that warms the heart and augurs well for the future of the region. The glorious vision of Pacem in Maribus can only be realised if, in the same spirit, navies of the world joined hands to preserve the established concept of the freedom of the seas, and jointly combat the common threats confronting mankind. This is what makes this exercise series strikingly unique: it is not directed against any specific country or group of countries, but is solely devoted to clasping hands in the pursuit of the twin themes of togetherness and peace.